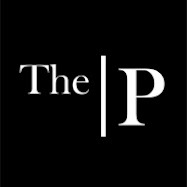 While discussing with David whether to paint or not to paint my master bedroom, he kindly reminded me that the floor in the guest bath might be a higher priority than prettying up my bedroom. Ah, the Voice of Reason. I do entertain a lot. 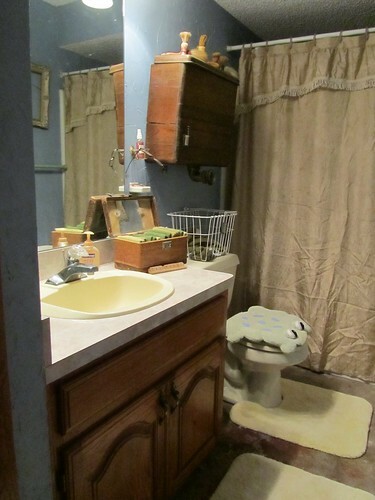 And it might be nice for my guests to have a more "finished" powder room. While it gives the impression that it is a nice, purposefully stained concrete floor, the truth is, I ripped the carpet out of this room the very moment that I bought the house. Carpet in the bathroom. Really? (Can you even begin to imagine the smell this room might have had?) So, the stain you see is from the contractors, staining the custom cabinets on site. Not a purposeful, stylish effort. Yeah, I don't like this sink or the countertop either. You are looking at the frog, aren't you? Ribbit. See? Nail holes from the carpet tack strips. It's not as pretty as the first pictures might look. So, instead of buying paint, I guess I'll go pick out tile. This could be fun! Do you have any suggestions? Slate or ceramic tile? What else is out there? I kind of like the industrial look of the concrete floor, but tile will probably give it a more finished look. We've done ceramic tile before, and they were nice. However, I love the look of slate. Hmmm...I guess it depends on the look you are going for and the cost. What colors are you thinking? Hi Amy! Truth be known, I have used the "but it looks industrial" line since I tore the carpet up. Now, if I threw some poly on it, it might look more purposeful. But, it looks unfinished and raw. And at this point, I'm willing to go with tile. My inclination is earthy tones. Not busy. Maybe the biggest tiles. Or not? huh Gotta go see what is out there. We have tile that "looks" like wood floor! I love it! 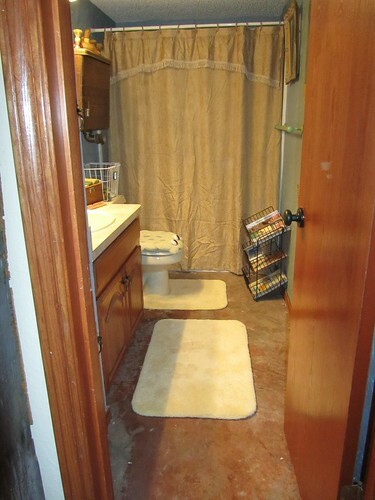 If we were to "build" from ground up, I would definitely go with concrete stained floors but in our older house it just did not look good, thus the tile! But this tile fools most folks when they come to our house, they think I have the real authentic wood floors! slate girlfriend! that's what i have in my master bathroom and i love.love.love it! We have been chipping away at our tile floors for a while now! 1200 sq. ft. of it! Looking at the sub-floor now! hopefully it won't be to long and I can have my new wood floors put down! Hope you figure out what to do with yours! 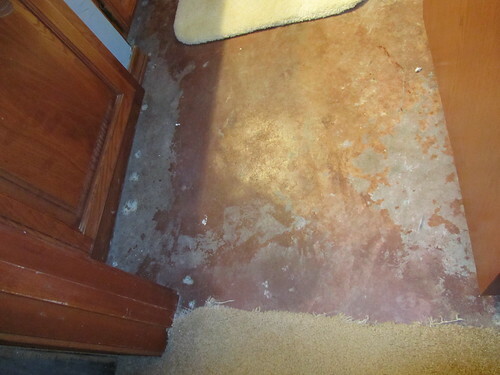 Carpet in the bathroom, ugh! Had it in two places I've lived, squicked me out in both of them. You did the right thing. I think tile would be a good choice...and yes, large tiles.....makes the room feel bigger. So I've been told. Oooo, I think slate would be awesome. But large tiles would be nice too. you know what's funny? Is that you knew we were lookin' at the frog...just sayin' psychic! Mindy, I think slate would look wonderful in your bathroom with the colors you have now. You've got a rustic look going on so they would be perfect.